staf has archive of fashion trend information covering the past 50 years. supporting all stages of product planning and design in the fashion industry. Various trend contents for the past 50 years as well as contents based on the next season’s prediction are provided. Trend material images from 1960’s.Men’s items available since 1970’. Runway photos of the four major fashion weeks in Paris, London, Milano and New York from 2013 and on. Trend color data from the 1960s.You can also edit data by importing into SDS-ONE APEX3 and Adobe Photoshop. 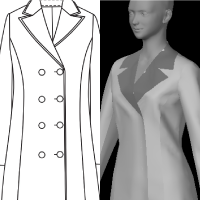 Flat sketches with size information since the 1990s.For items with sewing specifications, details of the specifications can be checked.Some are supported 3D. Photos of new, original knit products using the latest knitting techniques. 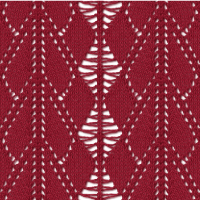 Images of knitting patterns represented by virtual swatches based on cutting-edge simulation technology. You can make use of the abundant amount of content using special tools. 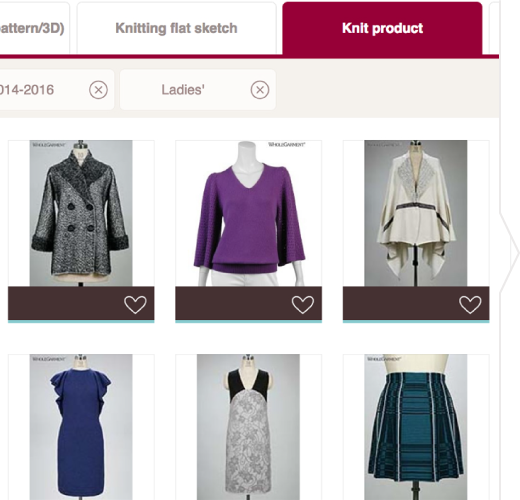 You can use the category-based search menu to quickly find what you are looking for from a great number of materials.Moreover, contents recommended by staf stimulate your inspiration. Click the heart icon so that you can register the contents you like to Favorites.Also, the grouping function with uniquely defined tags allows you to organize items for easy use. Tools are available that can materialize ideas and make proposals. 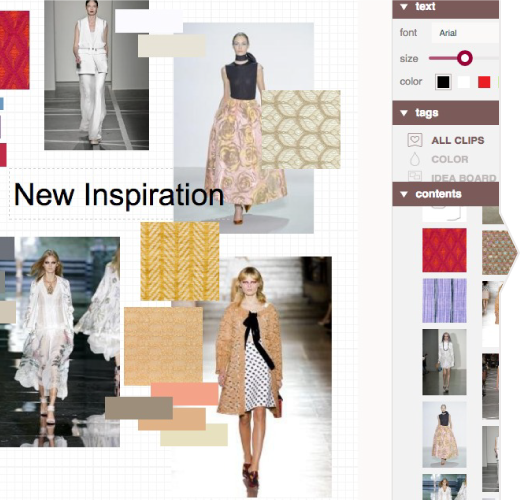 You can intuitively lay out images registered in Favorites and create a concept board with simple operation. Moreover, suggestions are given for related images for giving your inspiration a boost to realize your ideas. 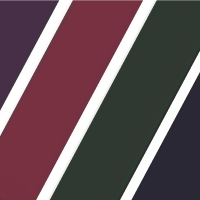 You can intuitively create original colors and colorway data from the color picker and images. 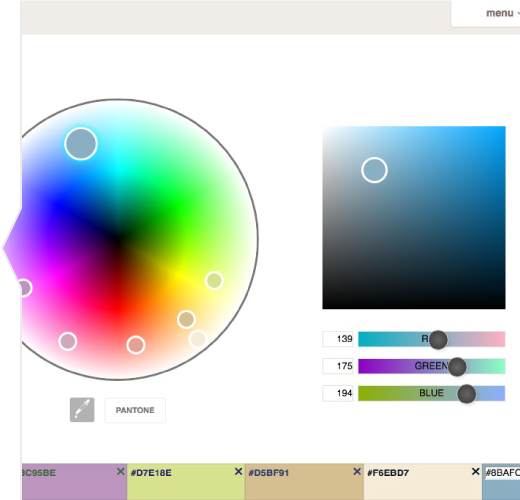 You can also edit the selected color by importing into APEX3 and Adobe Photoshop. 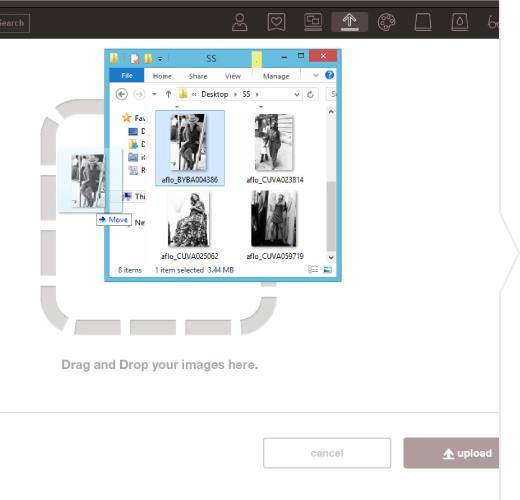 You can upload desired images from your PC, tablet or smartphone anytime, anywhere with ease.You can stock your original photos in 20 gigabytes of web storage, which can be used on your staf idea board, etc. Information from the past, present and up to the future can be collected, which can lead to fashion inspirations. 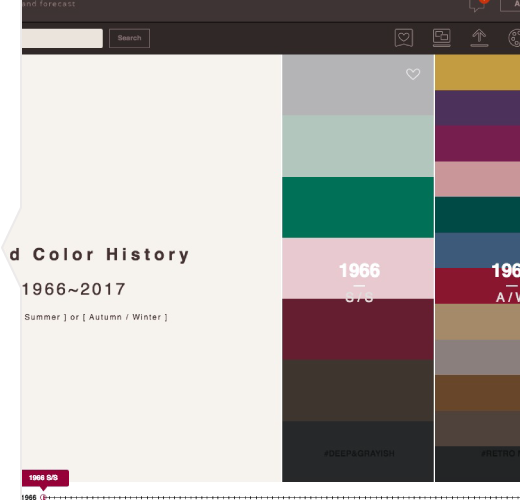 The transition in trend colors for the past 50 years can be grasped in a visual and consistent manner.You can also check details of trend colors for a particular year by theme. 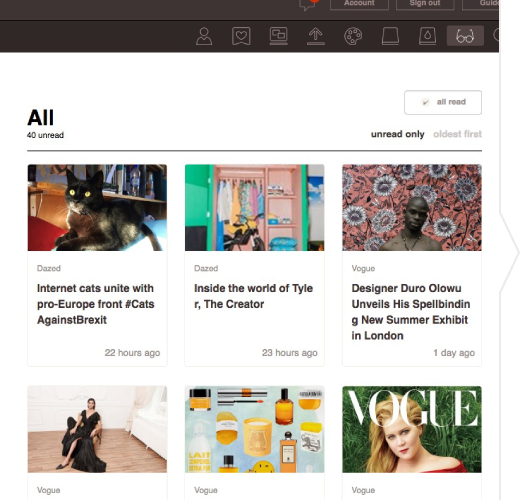 You can read news articles about fashion from recommended news sites.Moreover, for RSS-supported news, you can add any site of your interest. You can customize frequently used functions (widgets) to suit your needs.Just as you would when returning to your workspace, you can immediately resume your interrupted work and access the latest contents quickly. staf offers solutions to problems you may encounter during the planning process. I wish to gather various information, but have no time. With staf, you can easily access the latest collection photos under contract with the Aflo photo agency, as well as archives of trends and colors from the past 50 years. I find it difficult to organize all the photos and images I have collected. A simple click of the heart icon allows you to stock information of your interest, and to easily import photos you have taken. The ability to archive information in Favorites and to organize them efficiently will minimize the time and cost spent on photocopies and printouts. I don't have enough time to create presentation material good enough to convince clients. You can easily create an idea board using information in Favorites. Layout of color chips and images as well as size changes can be performed, allowing you to arrange your ideas for creating a planning layout that can be clearly conveyed to clients. I have a difficult time sharing ideas and gaining mutual agreement. When ideas are hard to come by during a meeting, staf can be used for inspiration. Since staf is supported on a variety of devices, sharing that information among members is easy. Time spent in establishing mutual understanding can be saved, while gaining client trust. 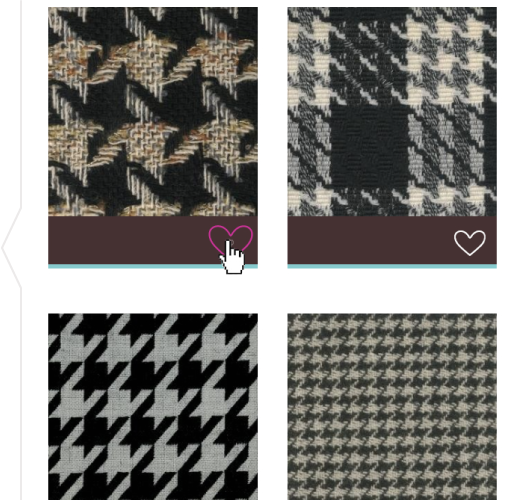 I cannot find good materials and wish to look for more related design variations. 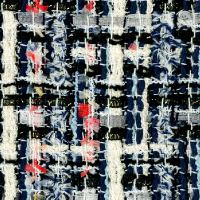 staf offers a great number of high-resolution fabric images and flat sketches rich in variation. Both are tagged in detail, achieving more effective information collection with keyword searches. It helps you materialize your inspiration for sample making. Speedy product development together with APEX3. 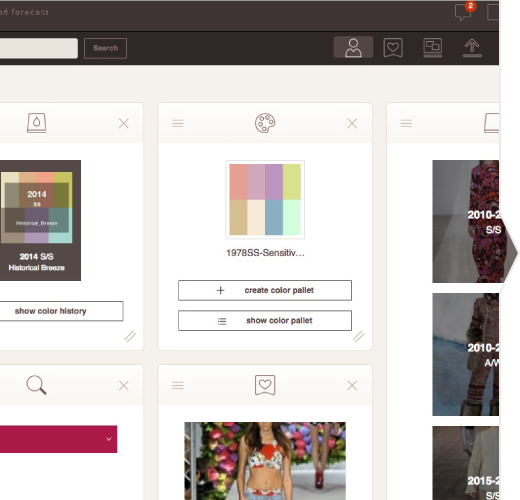 You can download materials using staf and immediately confirm product images using various functions on SDS-ONE APEX3.You can develop your business more quickly and easily than before. Register an account to use all of staf’s functions, including “stafphoto,” a smartphone application available free for 30 days! Click here for multiple licenses and person in charge of accounting.